Journal of Molecular science is an official peer reviewed journal for the rapid publication of innovative research covering all aspects of molecular sciences and providing an advanced forum for molecular biology, molecular medicine and chemistry. Molecular Sciences is an integrative, complex, concerted and a multidisciplinary science dealing with the study of different type of molecules.It includes a wide range of fields in its discipline to create a platform for the authors to make their contribution towards the journal and the editorial office promises a peer review process for the submitted manuscripts for the quality of publishing. Journal of Molecular Sciences focuses on topics related to Cell Biology, Molecular Biology, Molecular Genetics, Biochemistry, Bio-inorganic Chemistry, Biomaterial Sciences, Molecular Botany, Molecular Toxicology, Molecular Pathology, Molecular Biomedicine, Microfabrication, Molecular Biophysics, Molecular Recognition, Chemical Engineering, Catalysis Physical Chemistry, Theoretical Chemistry, Computational Chemistry, Nanotechnology, Nanobioscience Diagnostics and Immunology of Infectious Diseases. 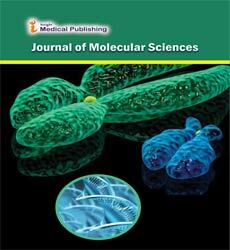 Journal of Molecular Science is an open access journal which are easy accessible. It accepts all types of manuscripts such as research article, review article, case report, case series, editorial etc. for publications. Article will be processed through the Editorial Manager System for peer review process and provides easy access to the authors to track the process of manuscript evaluation and publication in an automated way. Authors may submit manuscripts and track their progress through this system. Cell biology revolves around the concept that cell is a fundamental unit of life. The study of cell structure and function permits a detailed understanding of the tissues and organisms that cells compose. Cell biology explains the structure of the organelles in the cell and how they are organised in it. It also explains their physiological properties, metabolic processes, Signalling pathways, life cycle, and interactions with their environment at molecular level. Knowing the components of cells and how cells work is fundamental to all biological sciences; it is also essential for research in bio-medical fields such as cancer, and other diseases. Research in cell biology is closely related to genetics, biochemistry, molecular biology, immunology, and developmental biology. Physical Chemistry is the application of physical principles and measurements to understand the properties of matter, as well as for the development of new technologies for the environment, energy and medicine. It is the study of how matter behaves on a molecular and atomic level and how chemical reactions occurs. It is used in different areas, but the main goal is to discover, test, and understand the fundamental physical characteristics of a material—be it solid, liquid, or gas. Physical chemistry requires significant mathematical and statistical understanding, and that combination is valuable in many industries that have large data sets that need to be mined for information. Computational modelling is an application of physical chemistry and involves quantifying and predicting how materials will function. The pharmaceutical and materials industries especially conduct significant amounts of molecular modelling, but an advanced degree is usually required for this work. Bioorganic chemistry applies the principles and techniques of organic chemistry to solve problems of biological relevance, taking inspiration from biology to develop new chemical processes. Research areas include the application of synthetic and physical organic chemistry to the study of enzymes, metabolic pathways and nucleic acids. This includes the development of mechanism-based enzyme inhibitors; elucidation of enzyme mechanism and structure and studies of coenzyme reactivity. It is related to the defense mechanisms of plants and insects and their interaction on various levels. Modern analytical and molecular methods are employed to identify signals from herbivores and microorganisms and initiated events related to stress recognition by the plant e.g interactions in the network of phytohormones. A biomaterial is any substance that has been contrived to interact with biological systems for a medical purpose which can be therapeutic or a diagnostic one. The study of biomaterials is called biomaterials science. It is also known as biomaterials engineering. It incorporates elements of medicine, biology, chemistry, tissue engineering and materials science. It has experienced steady and strong growth over its history, with many companies investing large amounts of money into the development of new products. A biomaterial that is biocompatible or suitable for one application may not be biocompatible in another. It can be derived naturally or produced synthetically. It can be synthesized in the laboratory by utilizing components like polymers, ceramics or composite materials. Molecular toxicology is a field which deals with the study of molecular mechanism of chemicals which causes toxicity and effects of various chemical components on living organisms. This form of toxicology examines both naturally occurring and synthetic chemicals are the effects of genetic, physiologic and environmental factors on organisms are also considered. This field is very interesting because the fundamental aspects of biology can be revealed by mechanisms of toxicity. For e.g. toxin such as paraquot or DCMU inhibit the process of photosynthesis. Toxin such as rotenone and cyanide interfered with the electron transport chain .Therefore it reveal the existence of the Krebs cycle, a central component of cellular energy metabolism. Understanding of mechanisms of toxicity is essential for meaningful extrapolation of results obtained in experimental systems, for the risk assessment of human exposure to chemicals. Nanotechnology is a rather contemporary branch of science that encompasses study, research and application of nanoscale properties of varied elements and compounds. The underlying principle of nanotechnology innovations includes macroscale properties of substances change as the size of the particles approach nanometers. Furthermore, it has been observed that nanomaterials amplify the desirable properties of materials, which may be attributed to exponential increase in surface area or change in physical, chemical and bioactive properties of the same. Hence, nanotechnology is a revolutionary application which encompasses both physical and chemical sciences. Nanotechnology has broken all boundaries and is currently being employed for the production of highly efficient chemicals, biomolecules and any other methods and tools that may be developed on their basis. One example is the application of nanoscale elements for enhancing the contrast of MRI images. There are several more that are currently being studied and even more that are yet to be explored in future. Nanoscience can be defined as the branch of science that deals with the study and development of materials that have nanoscale dimensions. Nanoscience is the underlying principle of nanotechnology, an upcoming branch of science that aims toward the development of nanoscale instruments, devices, medicines and even more. The most important aspect of nanoscience is the elucidation of the molecular and submolecular changes that are observed only in nanoparticles so that the same may then be employed for the development of practically applicable methods and devices. Microfabrication is essentially the process which involves fabrication of microscale and smaller structures for the development of practically applicable electronic devices. The most basic microfabrication methods imply the development of semiconductor based integrated circuits. The increased importance in the recent past can be understood from the fact that miniaturization is the most essential step towards the successful production of portable electronic devices which may someday find applications in the telecommunication industry, healthcare industry or other related or unrelated branches. The most important and hence researched topics of microfabrication include doping, etching, bonding, thin films and microlithography. Nutraceutical is a pharmaceutical-grade and standardized nutrient. These are the products which are maintained to provide basic nutritional value found in foods and provide extra health benefits. They are the food additives or the dietary supplements which may prevent chronic diseases, improve health, delay the aging process or support the structure or function of the body . Dietary supplements are the food product that are in the form of concentrated liquid or capsule. They contain nutrients. The products can be metabolites, amino acids, vitamins, minerals, herbs, enzymes, organ tissues, glandular. This product is not intended to diagnose, treat, cure, or prevent any disease. Functional foods provide benefits to the consumers due to the presence of additional complementary nutrients such as vitamin D to milk. They are fortified or enriched during processing and then marketed as providing some benefit to consumers.